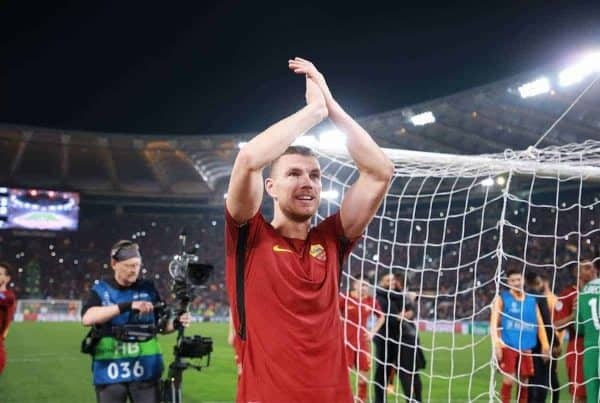 Liverpool have been drawn to face AS Roma in the Champions League semi-finals; here’s the complete lowdown on what to expect from the Italian side. The Reds will play the first leg at Anfield on April 24 before heading to the Stadio Olimpico for the second leg on May 2. Here’s the complete lowdown on the Serie A side and what to expect in the last four. The Reds and Roma have not met in competitive action since 2001/02 Champions League, in the second group phase. The first match ended 0-0 in Italy, but the return fixture at Anfield was an emotional occasion: it saw Gerard Houllier’s return to the dugout after heart surgery, and a 2-0 victory when the Reds had to win by two clear goals to progress. 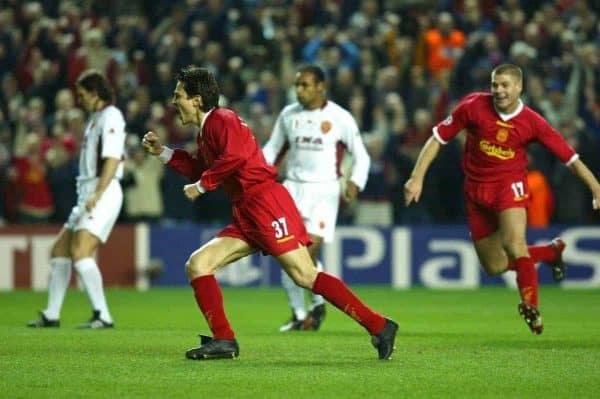 Jari Litmanen’s early strike put the Reds ahead and Emile Heskey netted another in the second half. Of course, Liverpool and Roma most famously met in the 1984 European Cup final; it took place in the Olimpico and ended 1-1, with the Reds triumphing on penalties and Bruce Grobelaar’s spaghetti legs. Roma lie third in Serie A and are fighting to be involved in next season’s edition of the Champions League. They are 21 points off top spot and level on points with neighbours and rivals Lazio, in fourth. Inter, fifth, are just one point further back, so it will be a big struggle right to the end of the league campaign to seal a top-four finish. In all competitions they’ve won just one of the last four…but that was the crucial 3-0 win over Barcelona in the quarters. In Europe they’ve yet to win an away fixture since the group stage game against Qarabag FK and they have scored 15 goals in total in 10 European matches this season. However, at home they are much stronger; they’ve not conceded a Champions League goal at home this season and beat Chelsea 3-0 back in October. 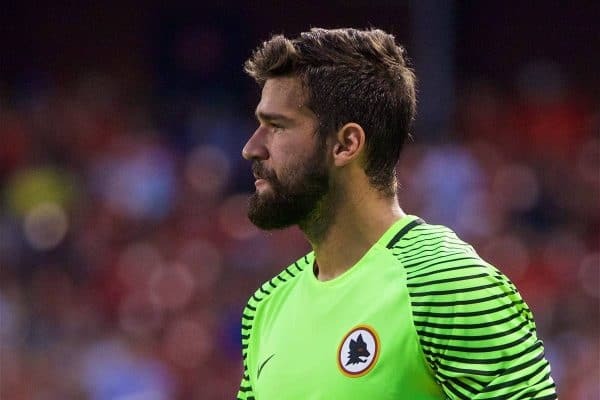 Liverpool might have one of the most feared attackers on the planet, but as fans have come to know this season, Roma have one of the best goalkeepers. Alisson has been monstrous all season, Brazil’s No. 1 and an absolute star in Serie A. The rumours haven’t gone away yet, and there will no doubt be plenty of talk about seeing just how much firepower he can handle. The midfield zone is packed with experience and technical ability, but striker Edin Dzeko is a standout threat. Cengiz Under is another talent and the centre-back pairing of Federico Fazio and Kostas Manolas offers aerial prominence and power at both ends of the pitch. 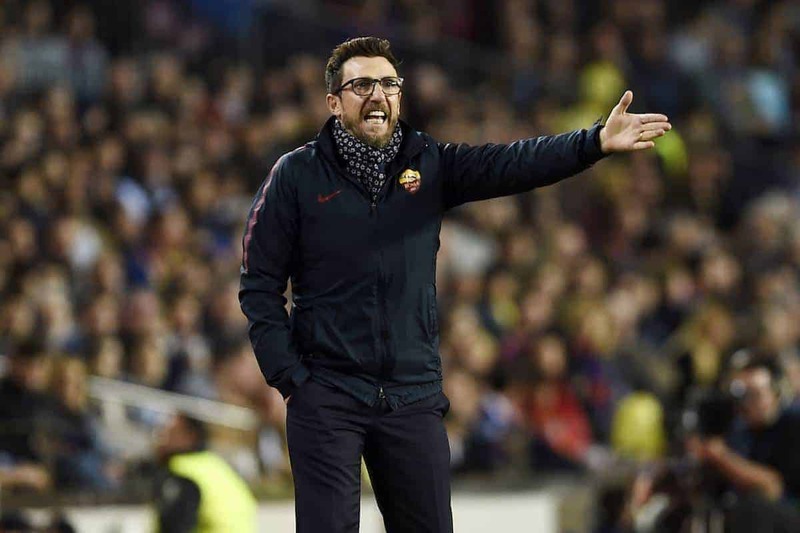 Eusebio Di Francesco has habitually been a 4-3-3 man all season long, so it’s likely to be a straight matchup in personnel against Jurgen Klopp‘s system. “Di Francesco adores 4-3-3 so it was a big break to go with a back three against Barcelona. “He showed his team the Barca-Chelsea tie to show the route to success; this was uncharacteristic but a bold move. The Stadio Olimpico is a legendary stadium, a 70,000-capacity ground which has hosted multiple European Cup finals—including the ’84 final mentioned above. Access to the ground is easy; public transport is available but it’s within walking distance from the city centre. The atmosphere can be incredible despite the athletics track around the pitch.